Having a fearful dog can be a challenge. It can make everything from taking a walk to having visitors in your home to simply experiencing a thunderstorm more difficult than it needs to be. 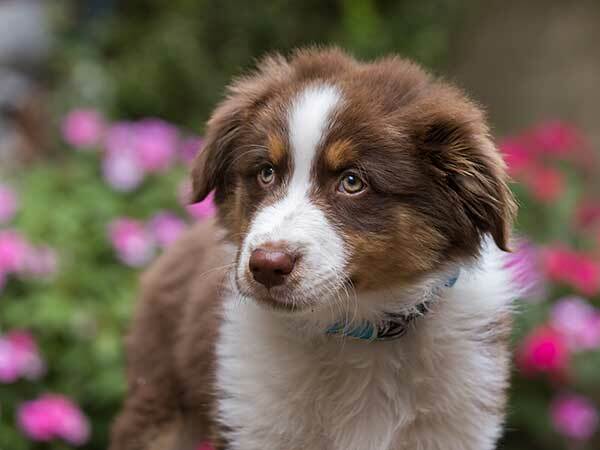 If your Australian Shepherd has ever reacted in fear to a particular situation you've undoubtedly wondered what you can do to help calm those fears and make your dog feel better. It is possible for dogs to overcome fear; the problem is that most people take exactly the wrong approach, which can have the opposite effect. Fear is a natural response for all living beings. At times, there are certain things that cause an automatic fear response. A nervous dog may seem to be over-reacting, but that's not the case. Whenever we see another person becoming fearful, our natural instinct is to comfort them and tell them that everything will be all right. With a frightened or timid dog, however, this approach simply won't work, and for good reason. Unlike humans, dogs can't form the kind of reasoning that approach requires. For dogs, comforting is a form of reward so if you comfort them when they're scared, either by petting them or giving them a treat, they'll come to associate that reward with the behavior of being scared. Rather than deterring their reaction, that approach only serves to make a fearful dog even worse. So how can you calm a nervous dog? The answer is simple, by showing him how you want him to react. Dogs learn by example. Normally they take that example from their pack leader, but they have such a unique relationship with humans that a human owner can take the place of a pack leader. When that happens, a dog will take its cue from its owner. 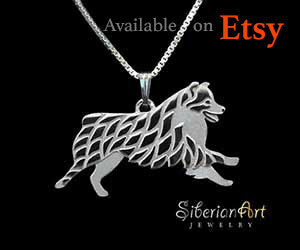 In the case of a timid dog, that cue can help him to react properly in situations that may frighten him. A fearful dog may have one of four reactions: fight, flight, avoidance, and surrender. You don't want to encourage a fight, flight, or avoidance response as these can ultimately become dangerous. Instead, you want a surrender response, where the dog surrenders to the frightening situation and simply accepts it. The best way to do this is to show him the response you want by not becoming frightened yourself. If you react in fear your dog will respond in kind, so if you want your nervous dog to stay calm then you need to do the same. Slow down your breathing and your movements, assume a relaxed and confident posture and speak in an even tone. That way your dog will see that you aren't afraid and realize that he has no reason to be either. 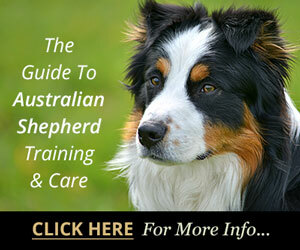 This will work for any breed but is particularly helpful for intelligent, quick learners like the Australian Shepherd. You need to remember that your dog's fear response is not intentional, it's instinctual, so don't react by scolding him for it. Try to remain calm yourself and lead him by action rather than words. Show him that he has no need to be scared and your fearful dog will soon begin to change his ways. What he needs most is patience, understanding, and a good example to follow. Make no mistake about it; your response can make all the difference when it comes to changing your dog's behavior. While you follow the approach above, keep in mind that it will take time and repeated exposures. If they get timid and anxious at the dog park you want to make every visit a positive one to help build positive associations. 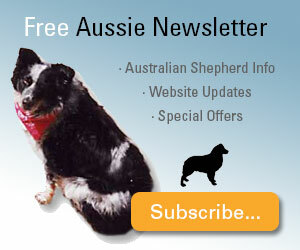 You can even bring high value treats to help your Aussie think of the dog park as a happy place. Don't rush it or force it. If things are going well at the dog park, take the win and leave for the day rather than staying longer. Staying longer only increases the chance of something going wrong, like someone showing up with a more aggressive dog that undoes all your hard work. Is it a person that stresses your dog out rather than a situation? When you know that person is coming by to visit move your dog to another room before they arrive. Everybody stay calm and cool, speaking in relaxed tones. You can give your guest a high-grade treat that they can offer your dog—later. First, just let your dog approach at their own speed as they slowly become comfortable. Don't call your dog over and get your guest to try to give them the treat. Instead, everyone should just ignore the dog. Don't pet them, don't even make eye contact. Keep it low-key and casual. 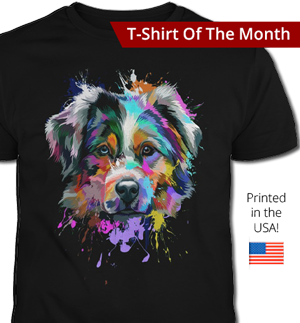 Once your Aussie begins to relax a bit and smells the treat they will be more receptive to receiving the treat. Let them do it in their own time. This patient and persistent strategy will work. However, behavior problems in dogs don't happen in a vacuum. 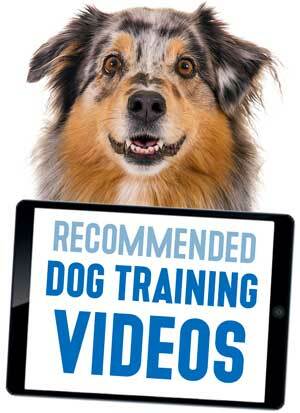 There are many fundamentals of dog training that are often overlooked by many dog owners. Without this foundation in place, dog owners are usually dealing with one issue after another without realizing that they all stem from the same underlying problem. For step-by-step instructions about dealing with a fearful dog and a complete understanding of the principles of dog training (and how to implement them) I recommend a dog training program that covers not only just about every dog behavior issue you're ever likely to have, but also provides the solid foundation that, once implemented, can stop behavior problems from arising in the first place. 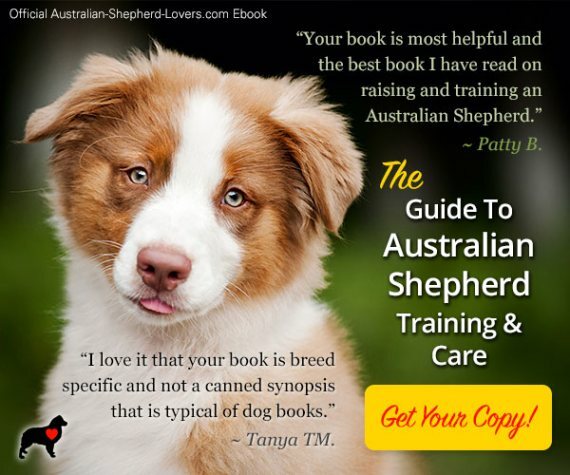 The dog training program I'm referring to is an online video-based program that was created by a professional dog trainer from New Zealand known as "Doggy Dan". Using positive training techniques he shows you step-by-step how to get your dog to look to you as the respected leader. This is the missing, but vital, ingredient if you want to have any success in obedience training, helping your fearful dog deal with their anxiety, or handling any other behavior issues. 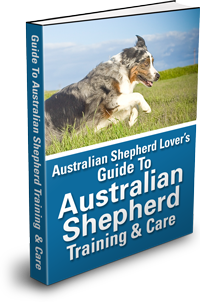 Using the tips above you will get a good start on helping your nervous or timid dog but a comprehensive approach and an understanding of how your dog thinks and responds to you, other people and animals, and the environment, like the one Dan provides, will serve you and your Aussie best in the long run. You can find out more about Dan's program in our article here or visit Dan's site for more info here.